Any outer-borough resident can tell you (with an eyeroll) that Manhattan isn't everything. 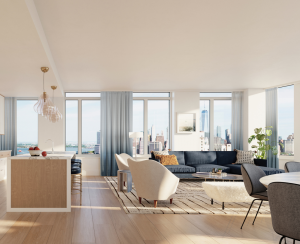 And while residents of the main island often groan when they have to travel to an outer borough, most have come to accept a quick trip to Brooklyn every now and then. But the mere mention of Queens elicits a deer-in-headlights look. That's too bad. Because Queens has delightful neighborhoods with just as much if not more charm than any other borough. Blogger Drake Michell, who founded Forest Hills, Queens-based Edge of the City three years ago, is a native New Yorker who has been a newspaper and magazine journalist for more than 20 years. Having covered everything from crime to schools to municipal government, Drake long ago grew tired of reporting about every word politicians say and sensationalistic crimes. 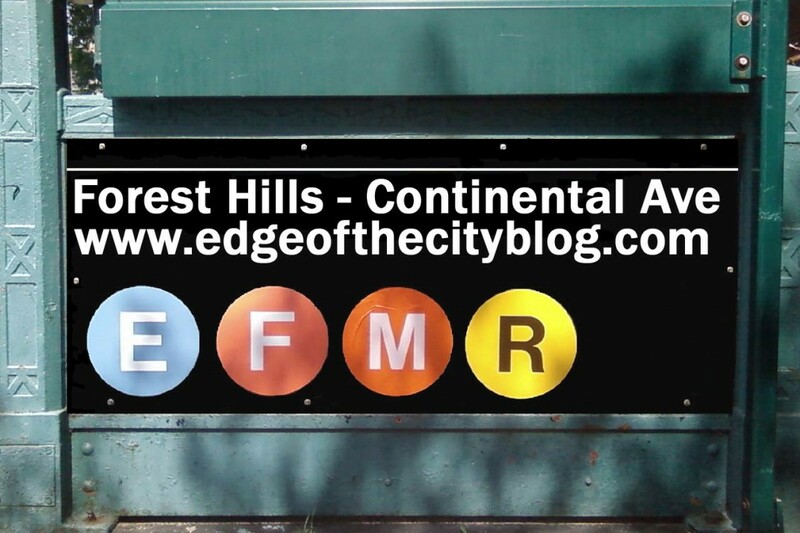 Edge of the City instead focuses primarily on the goings-on of Forest Hills, but also includes the surrounding areas of Queens, including Rego Park, Kew Gardens, and beyond. Edge of the City started in 2010 and has grown steadily since. The blog now gets 3,500 unique visitors each month. It was put on the map by its immediate reportage of the Forest Hills tornado in September 2010--the blog was the first outlet to publish photos of the extensive damage in Queens. 1. What would you tell someone moving in? Forest Hills is one of New York City’s best kept secrets. Huge apartments, relatively low rents and prices, and a neighborhood that continues to improve. 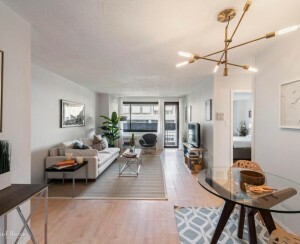 It offers a unique way to live in New York City, You’re a quick subway ride to Midtown (sometimes as little as 20 minutes on the E or F train and even quicker on the Long Island railroad), giving you everything the city has to offer. Being kind of on the outskirts of New York City, the gentrification that other parts of the city has experiences has been slow to reach Forest Hills. But the neighborhood never really slumped very low, even in the saddest days the city experienced of the 60’s and 70’s. It’s always been kind of posh. Still, there are stretches, especially along Queens Blvd., that are overdue for renovation. And some of that is happening. New restaurants are opening on some parts of the Boulevard and a new condo by local developer Cord Meyer is about to go up smack in the center of the neighborhood, adjacent to Forest Hills' main subway stop. 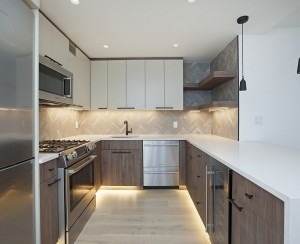 If you’re tired of your tiny Manhattan “apartment” with the shower an indentation in the wall of your kitchen, then Forest Hills is for you! Of course, what you are giving up is the access to the effortlessly delicious, enormous variety of dining that Manhattan offers. Forest Hills, until just recently, has been challenged when it comes to restaurants. But thank the Gods, that is now changing. I’d recommend the amazing new French bakery/restaurant La Boulangerie, on a side street off of the main shopping drag of Austin St. Bread is baked early every morning. The Frenchman who owns it runs a genuine French eatery. It is absolutely charming and offers some of the best bread in New York City, and I am not exaggerating. And then there is Nick’s Pizza, which is one of the best brick oven pizza places in the city. And, one of the finest Italian restaurants in NYC, Tuscan Hills, can now be found a short walk down Queens Blvd. And we also now have a Farmer’s Market in front of the Post Office every Sunday in the warmer months, an extremely popular new addition to the hood that just finished its first year here. And there are a ton of Asian restaurants, many of which are excellent, including Jade in the lovely Station Square (near the Long Island Rail Road station), which is a chic-looking place to eat and has outdoor seating as well. You won’t find many cultural attractions nearby. For that, you hop the E or F train or LIRR to Manhattan! But it is home to several movie theaters, including the Midway multiplex theater. And about a 20 to 25 minutes walk, in neighboring Kew Gardens, is the art house Kew Gardens Theater, which shows independent films. It’s a terrific theater, a real movie lover’s pleasure. There are really several. The newest is the Windsor, which is smack dab in the center of town and is a luxury skyrise. People really like the Kennedy House, which is a huge soaring tower on the north side of Queens Blvd. which even has a pool on the roof. There are also many very pretty buildings just off Station Square, upon entering the Gardens. Not really. Forest Hills is a hodgepodge of different styles of buildings. It’s a mix or houses and apartment buildings, many times existing almost directly side-by-side. That’s just the way it is here, for better or for worse. You might even say it's a cacophony of architectural styles. Yes. There’s been a lot of people upset by the tendency of some new residents to tear down two homes side by side to construct one larger, massive house on the two lots. Many feel those are out of place with the feel of the neighborhood as these homes can seem overwhelming, especially in these quiet residential neighborhoods. 7. How has the neighborhood changed in the past 5 years? Any projections on how it will change in the next 5? It’s changed a lot. When I moved here, more than a decade ago, there really were few quality places to eat out. Today, there are many, and I think the choices will continue to grow. I think that will probably be the biggest change over the next 5 years—more variety when it comes to places to eat, and much better quality than what the neighborhood has had until recently. As an example, Chipotle is about to open here on Austin St. Anywhere else in the city, that would probably be greeted with a shrug. Here, people are VERY excited about it. Kew Gardens is the quieter version of Forest Hills to the East. Maybe the Lower East Side in Manhattan. Forest Hills is not really very hip today, at least not yet. FoHi has more of a bedroom community feel today. But that feels like it is changing. I’d dare say the LES won’t be much of its opposite 5 years from now. As Forest Hills is right now? No! I’d much rather live in the South of France (I’ve never been there, but it looks beautiful!) But like I said, five years from now, maybe! 11. What is one of the biggest misconceptions about the neighborhood? That it’s expensive to live here. That couldn’t be further from the truth when you compare it to the cost of living in Manhattan. Between the size of the apartments and the rents or prices, and the great things about this improving neighborhood, I think it all adds up to a great deal. Long Island City "will look like a hybrid of Battry Park City and Downtown Brooklyn before long"
In Park Slope, "not everyone is Vegan or dedicated to socialist-style shopping"